If you love Baltimore’s arty-fun-experimental-rock band Ponytail, it probably has something to do with the effervescent, super-smiley guitar wielder and vocalist, Dustin Wong. Don’t worry, Ponytail is still going strong! But over the last six years, Wong has amassed quite a number of works all on his own, and will release them as a collection called Seasons, his solo debut album, in early June. Wong’s label, Wildfire Wildfire, offers a sample from each side on their site, and what’s there are two thoughtful, instrumental trips through Wong’s year. Spring_Summer offers varied bits that range from rough to rambunctious, loaded with twinkly energy and filled with promise. Fall_Winter is dreamlike and pensive, wandering and moody but not gloomy or lost. Do not expect the poppity explosion of Ponytail with Seasons. 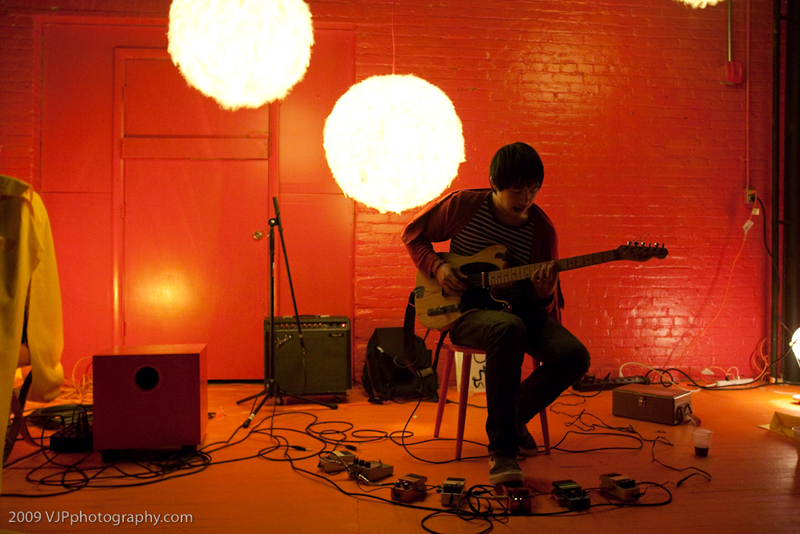 But do expect to see yet another side of Dustin Wong that you’ll really, really like.